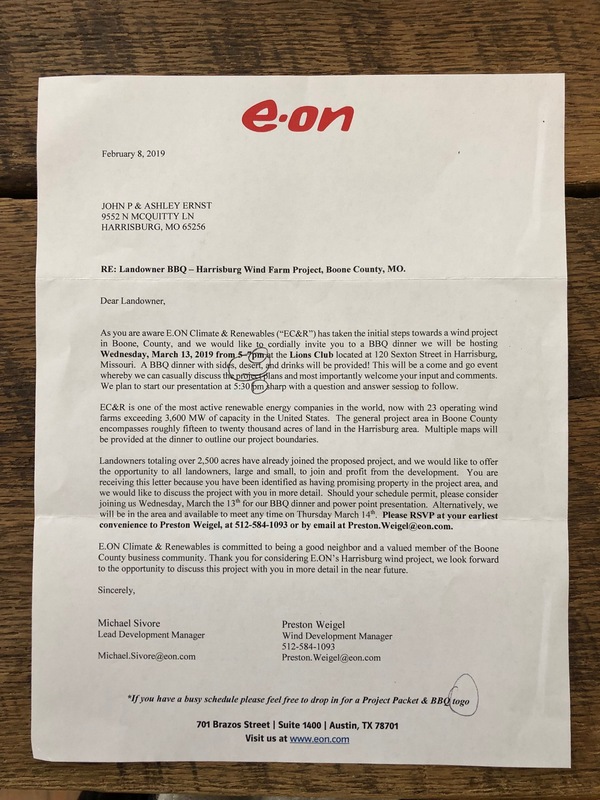 HARRISBURG – An energy company is hoping to bring a wind farm to Boone County and wants to get to know its potential neighbors. The meet-and-greet will be hosted from 5-7 p.m. on March 13 at the Lions Club, 120 Sexton St., Harrisburg. The letter says the general project in the Harrisburg area could exceed more than 15,000 acres. The company operates 23 wind farms in the United States.